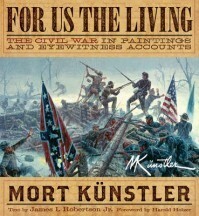 Keith Rocco’s historical paintings are careful representations of the past, immortalized on canvas. Rocco has been honing his craft since he was a child and received a book on the Civil War for Christmas. He spent his youth copying the illustrations out of books and studying history. 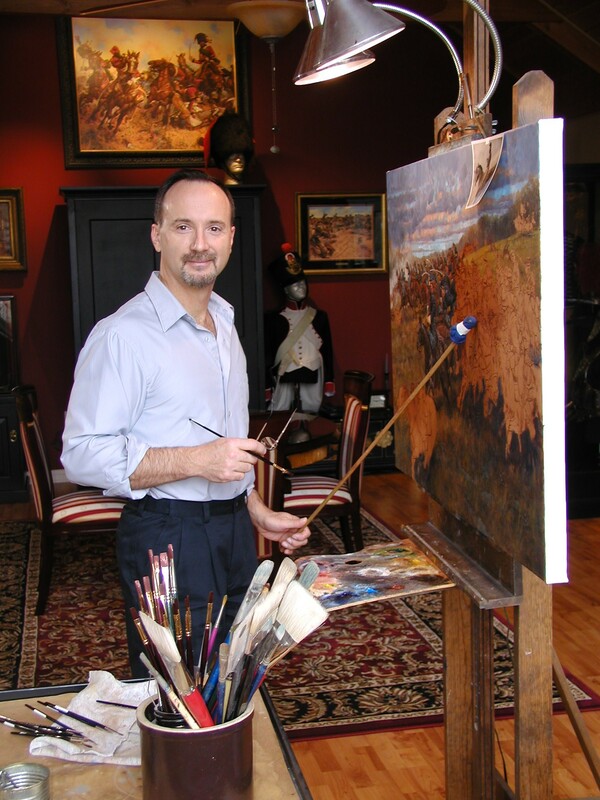 Rocco’s paintings are carefully planned out and meticulously executed. He works with historians and depending on where the event he is painting took place, will reach out to local historians and museums for detailed analysis. Rocco does as much research as possible before taking brush to canvas and takes great lengths to ensure what he is painting is accurate. 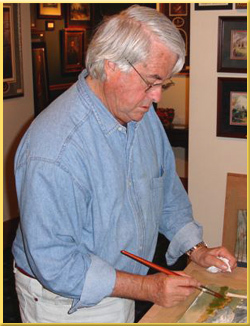 Galleries/Museums: “In 1985 Rocco was proclaimed by the French magazine Uniformes, as a ‘artist in the tradition of Remington and Detaille. 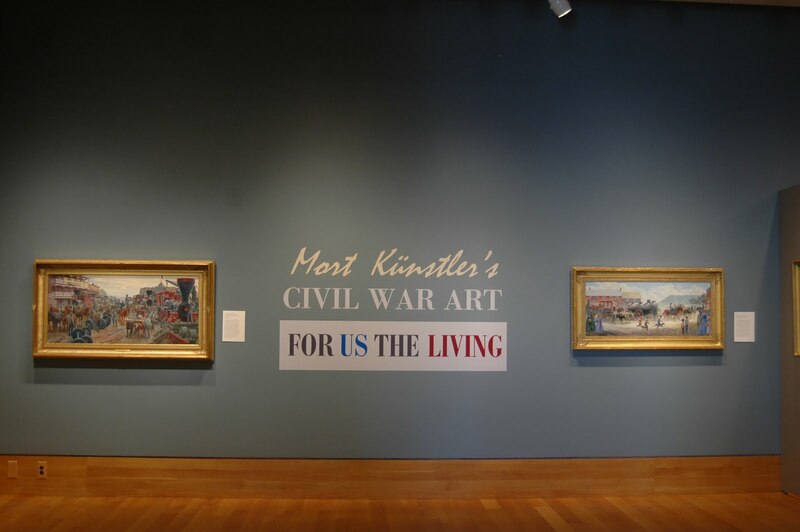 '” His paintings have been exhibited and commissioned by, the Andrew Mellon Foundation, the Pentagon, the Atlanta Historical Society, the House of Representatives, Gettysburg National Park, the City of Fredericksburg, Virginia, the National Guard Heritage Collection, and the U.S. Army War. 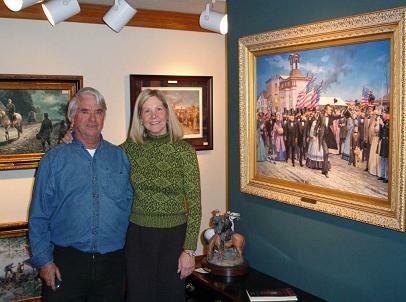 He has painted three murals for the Wisconsin Veterans Museum in Madison College, six murals for the Pamplin Historical Park, a centerpiece mural “Gettysburg”, for the Abraham Lincoln Presidential Library and Museum in Springfield, Illinois, and worked on commissions for the University of Illinois Press, University of Georgia Press, Chapel Hill, Military History, American History Illustrated, Napoleon Journal, Soldats Napoleonien, Le Livre Chez Vous and other publications. Process: Rocco is a calculated artist who researches and gathers information months in advance of a painting. He has even been known to think about ideas for years before taking brush to canvas. Rocco is a purest and his website bio hints at the historical perfection he strives to obtain. “The small cup of earth on his studio shelf, for instance, was sent to confirm the color of the soil at Jamestown Colonial site,” (Rocco). 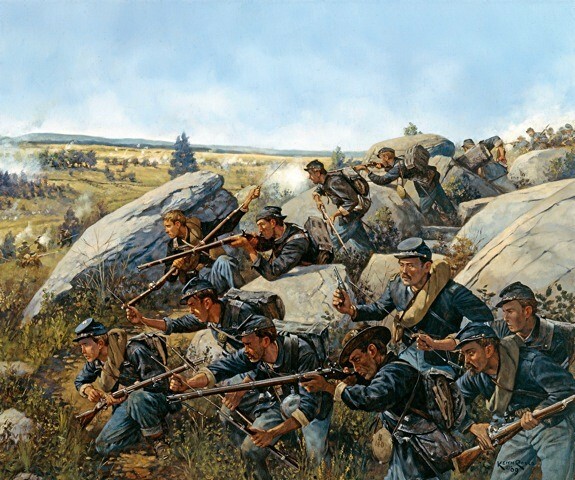 Rocco is also a collector of Civil War relics and his peers even comment on his array of Civil War memorabilia as impressive. When I spoke with Steve Sylvia, President of Civil War Dealers and Collectors Association (CWDCA) he explained that because Rocco is a collector, he is able to obtain accuracy based on his intimate familiarization with the artifacts of the Civil War. Keith Rocco, [is] considered [one of the] top in the world today. More importantly, he is a collector. He can offer another angle as a man who knows the details of the artifacts, uniforms, weapons, etc. and the appeal of such items to collectors. This goes toward accuracy of detail and the reasoning behind that as opposed to say an Impressionistic representation, for example.